Jon Herington’s current album Time On My Hands is a departure from previous solo albums Like So and Shine Shine Shine, because he decided to make his guitar the centerpiece of the songs. That might sound odd at first, because he is solidly entrenched as one of the music community’s most highly regarded guitarists, who has been the guitarist for Steely Dan for the past thirteen years and who also regularly tours with Madeleine Peyroux. Add to his resume past tours with Bette Midler and with The Dukes of September (Boz Scaggs, Donald Fagen and Michael McDonald) and it may sound incredulous that until Time On My Hands his guitar has not played a more prominent role on previous albums. Jon Herington says, “I got many comments from a lot of listeners, after Like So and Shine Shine Shine saying they were surprised and disappointed that the records didn’t sound like typical guitar player records. I think they meant the guitar was less in the spotlight than they expected and there was maybe less of a featured role for the guitar. They were exactly right and that was my intention. I was thinking about the songs and I wasn’t thinking about the guitar playing so much. I certainly wanted to play the guitar and I wanted to play well, but the songs seemed to call for a short eight bar guitar solo in the middle, like on a Beatles’ song or something like that, so I would do what the song seemed to call for. It seemed like the natural thing to do and to make those records sound good. I started thinking about it and I wondered could I make a record that people wouldn’t say that about it and they wouldn’t say this is a guitar player’s record. Furthermore, can I do that and not feel like I am compromising in terms of the quality of the song itself. I didn’t want to do a record where the songs were compromised in order to feature my guitar playing. I did realize when I started thinking about doing a record like this that the writing was going to have to happen in a different way to get that result. Herington says that one of the interesting aspects to this approach to writing songs was he gained a greater feel for the kind of music that felt right for playing extended solos. He says he also realized that it called for a different approach to his lyric writing. “These had to be different kinds of songs from the songs that were on those other two records and it seemed to be calling for a much more lighthearted attitude, more irony and more humor. In a lot of cases I didn’t find it that easy to do by myself and it led to me collaborating with a couple of different people to come up with a different tone. I am talking about the tone of the (people) singing these songs. I had great luck and a lot of fun collaborating with Jim Farmer and my bassist Dennis Espantman,” he says. Espantman also contributed vocals to Time On My Hands, as did drummer Frank Pagano. Longtime friend and colleague Jim Beard played the Fender Rhodes electric piano and clavinet, Dany Louis of Gov’t Mule (Hammond B3 organ), Rob Morsberger (keyboards) and Steely Dan’s Donald Fagen on piano. 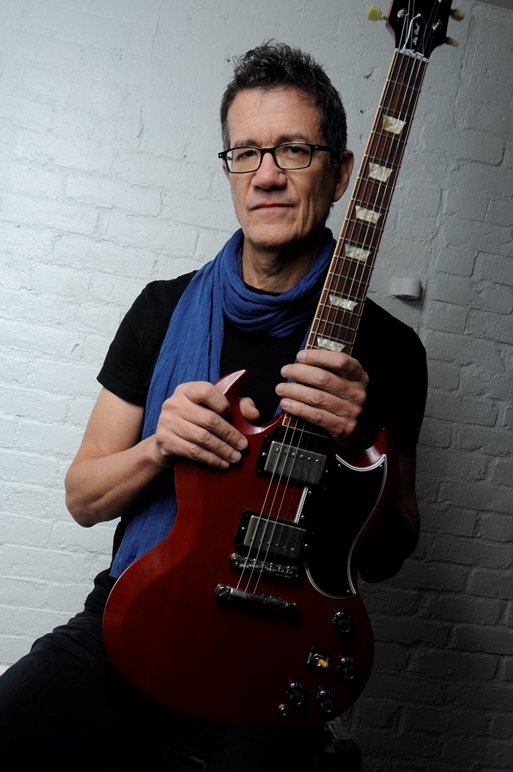 Jon Herington was born in Paterson, New Jersey and raised on the New Jersey shoreline in West Long Branch, about an hour from New York City. He refers to it as Bruce Springsteen’s old stomping grounds. Herington was one the middle child, with an older brother and a younger sister, the children of Norman and Doris Herington. Although his parents did not play instruments, his maternal grandmother was a church organist and his grandfather on his father’s side was a musician. Both Jon Herington and his brother took piano lessons, but Jon lost interest after a year and stopped in grade five. Instead, he turned to the saxophone through his school’s instrument program. “I was a radio listener, AM radio at that time. I loved The Four Seasons and The Beach Boys, all Pop radio stuff, The Supremes, but I think the real shift was on when the Beatles were on Ed Sullivan. That was the defining moment I think. I remember making cardboard guitars that looked like John Lennon’s Rickenbacker and going downstairs where my little record player was, and putting my Beatles records on and jumping up and down. (I saw them) the first time they were on Ed Sullivan and it was probably 1964, so I would have been ten. It was pretty clear that something was changing and with all of those screaming fans (he laughs lightly). That has to have been part of the allure of the whole thing. It was so wild. I am sure that Elvis Presley was doing the same thing and James Brown too. There were lots of concerts that predate that phenomenon on Ed Sullivan and the Beatles were doing it in clubs For me it was the impetus for putting bands together. By the fifth or sixth grade I was already getting together with guys in the neighborhood who had guitars. One guy had a snare drum and we put a band together. I remember visiting two guitar teachers and one of them an old guy, volunteered to coach us one day. We went to his studio and he did a little evaluation of the guys in the band and he determined that I had to be the singer, which confused me a little bit, because I was the saxophone player at the time. (He starts laughing) how am I going to sing and play the saxophone? This isn’t going to work. Over the next few years we would get together to play. My mother was the only one who would allow that kind of racket to happen in her house. Everybody would leave their guitars and drums in my basement and we would get together a couple of times per week to play. Because those guitars were lying down there all week, I would go down there and I started learning how to play the guitar. It wasn’t long before I played better than the guys in the band, because they clearly weren’t playing their guitars more than once a week and I was playing them every day. I decided to get a guitar of my own and I was probably in the seventh or eighth grade by that time. By the eighth grade I had a guitar of my own and I was beginning to play it by dropping the needle on all of my favorite records. I was also still banging on the piano a lot and I was playing on the saxophone. I learned whatever was on the record. If it was a saxophone solo I would learn the saxophone and if it was a Leon Russell song I would learn to play the piano part. If it was a Cream or Hendrix record I would settle on the guitar part. I taught myself and I never took a guitar lesson in those days. I am sure I sounded pretty miserable in the beginning, but my ear was good and I was developing my ear by doing this constantly. You couldn’t tear me away from it. Over the course of several years I pretty well taught myself and I trained my ear very well for the music that I was interested in playing and for the music that I was interested in writing. I didn’t switch to the guitar, but I definitely added the guitar. It became the focus for me, because I liked the fact that you could sing, while you were playing and it was the instrument that was in the center of the music that I liked the most. I was fascinated by harmony and unlike the drums the guitar has all of that in there. It seemed like a good fit for what I was interested in, but I didn’t give up on the piano at that point, I was just as interested in playing (the piano and saxophone) then,” he says. Jon Herington’s first band that actually got paid for gigs was in high school and it was called Highway. On two occasions they opened for Bruce Springsteen. At the time the guys in the band still had to rely on his father and older brother to drive them to gigs, because they were not old enough to drive and they had a special card so they could play in the bars as underage performers. “It wasn’t until I got to college at Rutgers that I realized it is a very big world out there and there were some seriously accomplished players that hadn’t existed where I grew up. At Rutgers I met a couple the first couple of days that I was there. I said Oh Boy I have to get serious about this. One guy I met who is still a friend, Stan Harrison who went on to play with Southside Johnny, David Bowie, Diana Ross, Radiohead and Duran Duran and all sorts of people (Mick Jagger, Stevie Ray Vaughan, Talking Heads). He became a good friend early on when I got to college, but I remember the first day that we met, he was so excited when he found out that I played the saxophone. We got our saxophones out and we started to play. (He starts to laugh) About a minute later I wanted to put the thing away, because he had a great sound and I was a hack. Really I was sort of a hack on the piano too and a little better than a hack on the guitar. It became clear to me that it was time to get serious and the most likely instrument was the guitar. It made sense, it was portable, I enjoyed it the most, you could sing with it and you could write with it. There were problems with all of the others. From that point on I really got serious and there was a conscious shift,” he says. When did Jon Herington start paying attention to Jazz? “Jazz was new to me. By the time I got to Rutgers I was leaning more towards stuff that came from the Jazz world. I was fascinated by Stevie Wonder, chord progressions, harmony and the more harmonically interesting (music) was tickling my ear. I didn’t feel well versed in that kind of a thing, but I was attracted to it. I was looking for a way to get more serious about playing my instrument. I had never been serious about practicing. I was always driven by what made music tick, what are those notes. Once I had cracked the code of a song, I could figure out the details. I would never bother to practice and get it up to a performance level, because the fascination was gone. It was like a puzzle that had been solved and then I (moved on) to the next puzzle. I met a few guys like Stan at Rutgers and I decided to do something about it. I became more disciplined at practicing for the first time. I had a choice to do it through the Classical music program there, which I wasn’t very interested in. I was interested in a lot of the harmony, theory and composition courses, but I was not interested in history. I was not interested in doing piano practice to pass a proficiency exam on that, which I would have had to do. I wasn’t interested in Classical guitar, which I don’t think they would have allowed me to study anyway. I decided I wasn’t going to do a music major there and I would do something else and take some music courses that I wanted to take. They were offering a course taught by a guy named Ted Dunbar who was a very good Jazz guitar player. He was a Wes Montgomery disciple and a very good player. I took a guitar workshop course with him and a Jazz improvisation workshop with him. There was a flood of information that opened up to me. There were all sorts of (things) to learn on the guitar. It was like another language to learn, as I tried to get into the Jazz vocabulary, which was not familiar. I began to listen like crazy to that music and I started digging into it. Dunbar was a good player, but he wasn’t a generous teacher. I remember one time he played a really cool sounding chord, but he made sure he did it with his back turned, so nobody could see what it was (he laughs). The nicest thing that he did for me was he refused to teach me private lessons and instead he recommended another teacher, a guy named Harry Leahey with whom I studied off and on for years and he was the most influential teacher I ever met. In east coast Jazz circles he is a legend. He is a fantastic player and he studied with Johnny Smith and with Dennis Sandole who was (a good teacher) and eccentric teacher from Philadelphia, whom I went on to study with for a couple of years, after I studied with Harry. Harry was a gift. He was a great chord player, he was a fantastic reader and he just taught differently on the guitar,” he says. After graduating from Rutgers Jon Herington taught guitar lessons at a New Jersey music store and he did some gigs with old friends. He then took a backpack and his guitar and headed to Europe for a summer vacation. When he returned to America the New Jersey shore somehow seemed too small of a world for him. “My New Jersey world consisted mostly of following in the footsteps of Harry and as much as I loved Harry’s playing and I liked learning from him, I didn’t really feel that I wanted to emulate his working style. He was playing lots of little Jazz gigs in little clubs where people mostly weren’t listening and he was probably getting $35 a night to do it and it didn’t feel like a career to me. I was still in a Jazz mode and I think that I was still looking for something different,” recalls Herington. He met a girl, became involved in a relationship and he followed her to Indianapolis. He was anticipating having to get a job outside of music and because he had been an English major at Rutgers he thought he might look towards a writing career. “I had never done anything like that or even thought about it, because I had always been able to make money just playing the guitar. It was probably the riskiest move that I ever made (laughs). Within a week of being out there I met a bunch of very welcoming Indianapolis musicians. I had done jam sessions with some of the guys and I even got to do a little Jazz gig. Right away I was welcomed and embraced and I began to work. Over the course of the next two or three years it became an opportunity for me to free myself from the recent habits (from his days in New Jersey and at college). I began to reconnect with some of my earlier playing in high school and playing Blues and Rock. That is when I got into Joni Mitchell and Crosby, Stills and Nash and interesting tunings on the guitar. I realized that instead of being exclusively into Jazz, I could do the Jazz thing and I could also embrace all of these other styles that I had always loved and that I had spent a lot of time learning. (Also), I could actually be paid for it. There was a local studio that I got to work in a little bit and there were a couple of recording studios that existed, because there were a lot of Christian family singing groups and things like that. There were aspiring Christian artists who wanted to record. There was a whole scene based around that, I guess, because Nashville was too expensive. There were studios that did recordings and at a high level all of the time, some with orchestra. There were a couple of guys who could play the guitar. There was one guy who was pretty good all-around Nashville style. There was another who could play a Rock solo, but he couldn’t lead much and there was (someone) who could play a little Jazz, but nothing else. It turned out they were ripe for a guy who could follow a conductor and who had a wide variety of styles that he could play. I started buying guitars, amps and effects and I turned myself into a training ground for being a session player. I don’t think I would have ever had the opportunity to do that in New York. In New York the pressure is so much more intense that if I was that green and you asked me to do sessions in New York, I probably would have fallen on my face. In Indianapolis it was a slower pace and they were more forgiving. They were glad to have somebody with my skill set I guess. I was in Indianapolis from ’81 to ’84. In Indiana I managed to meet a bunch of guys who were studying at Indiana University in Bloomington and one of them was Jim Beard a lifelong buddy and a musical colleague as well. He and I hit it off as musicians and friends. When I moved back to New York City he followed me a year later and he ended up doing a lot of work for a lot of guys who were electric Jazz innovators, not the traditional Jazz players, but not the Smooth Jazz guys either. It was the Weather Report and Miles Davis herd of players. He did records for Michael Brecker, Randy Brecker, Bob Berg, Mike Stern and Wayne Shorter. We both worked in Bill Evans’ band together. Jim was asked to produce a lot of records and I played on a lot of those. Sometime in the late eighties and the early nineties when we were doing this a Japanese company called Glass House Records, a subsidiary of Pioneer were introducing the twelve inch laser disc, which was a new technology that flopped. They spent a lot of money on a couple of projects that featured the laser disc. I think it was through my connection with Jim that they found me. They gave me a budget to do a record (The Complete Rhyming Dictionary) and I jumped at the chance. I spent a lot of time writing and I carefully chose players for the record. I was really interested in the music of Weather Report at the time, which the record reflects. I am a guitar player and I was trying to grab that genre and to put the guitar in the center. I used guys who had played with Weather Report, Victor Bailey on bass and Peter Erskine on drums. Jim was the co-producer with me and he played of course. It was interesting, because it turned out to be the end of a musical phase of my life more than it was a beginning. It was a summation of all of the stuff that I had spent a lot of time in. Somehow that music was less marketable and the idea of trying to put a band with it and tour with it seemed insurmountable and not lucrative enough. In spite of the fact that I loved that music and I tried to get it right while recording it. I already had the urge to write songs for a trio of my own that I had been working with. In a way I was getting back to my earlier roots, which in a way probably trace all of the way back to the Ed Sullivan show, but certainly back to high school, which was my initial inspiration for the guitar as well. That was more like Blues Rock, in the song tradition not in the instrumental tradition. That record is more of a closing of a chapter,” says Herington. 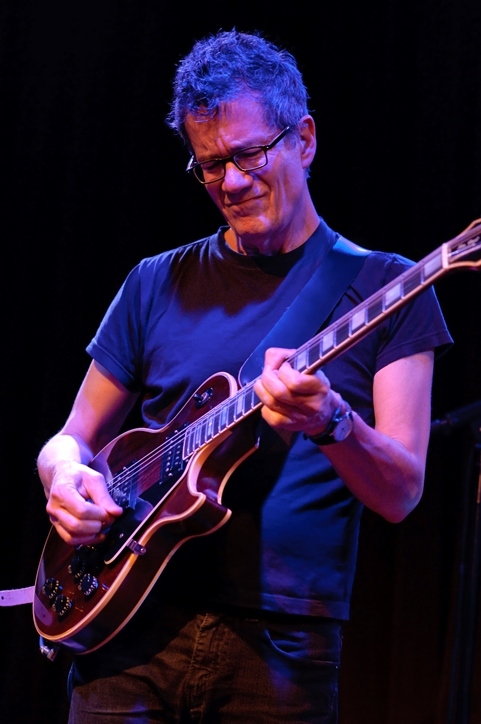 In 2000, eight years after the debut of his first solo album, Jon Herington returned to the studio and recorded the album Like So. About one-half of the album consisted of songs that Herington had been playing with his trio and the other half of the songs were brand new ones that he had written. “I remember we were doing mixes and sending Fedexes back and forth with CDs, because you couldn’t do that kind of thing online that easily. The engineer was sending me mixes overnight to check and I would comment and send another Fedex from all of the different hotels as we were moving around. It was a time when there was a lot going on,” he says. It was also the year that Jon Herington became a member of Steely Dan. He was playing in New York city and a keyboard player named Ted Baker with whom he had worked, was asked by Walter Becker and Donald Fagen whether he knew a guitar player that he could recommend. “Ted had a copy of my album The Complete Rhyming Dictionary and he brought it in and he played one track. They listened to the first track and made some wise cracks about its derivative nature, but it didn’t discourage them from calling. I got a call from Walter and he said he would like me to come in and play on a tune. I went in there and played on one track. It was called “Janie Runaway.” We worked for about three or four hours and it seemed to go smoothly enough. We spent a lot of time on the same tracks and we did a lot of takes. They seemed easy to work with and I was pretty comfortable. I felt pretty good about it. At the end of the day Walter said, are you going to be around next week and I said yes I will. He said he would like to have me come back to do some more. I said that would be great. We said goodbye and I went home. A week went by and the phone did not ring, another week went by and the phone did not ring (he laughs), so I started wondering what is going on with that? About five weeks went by and I didn’t hear a thing. I had basically given up all hope. About five weeks later the phone rang and it was Walter. He said do you remember that tune that you came in and played? He said well we aren’t going to use anything that you played for that song (he laughs). I said okay, but we would like to have you come and we have a bunch of other tunes we would like you to try to play (he is still laughing). I kind of chuckled and I went in and did it. It is true my work did not survive on “Janie Runaway,” and it did not appear on the record, but my work on the next fourteen (songs) that I worked on did. That was my introduction to working with those guys. Somewhere in those sessions they said they had plans to do some touring later that year and asked if I was interested in joining the band to do that. I was a little floored, but I was willing and able. It is thirteen years later now,” he says. His tour with Steely Dan eventually directly and indirectly led to recording two more albums with the band and solo efforts by Donald Fagen and Walter Becker, touring with Boz Scaggs, later with Dukes of September, Bette Midler and others. Jon Herington is an equally incredible solo artist fronting his own trio.